Spring mornings on the lek (mating ground) have a certain rhythm, unless interrupted by a golden eagle on the hunt or poor weather. 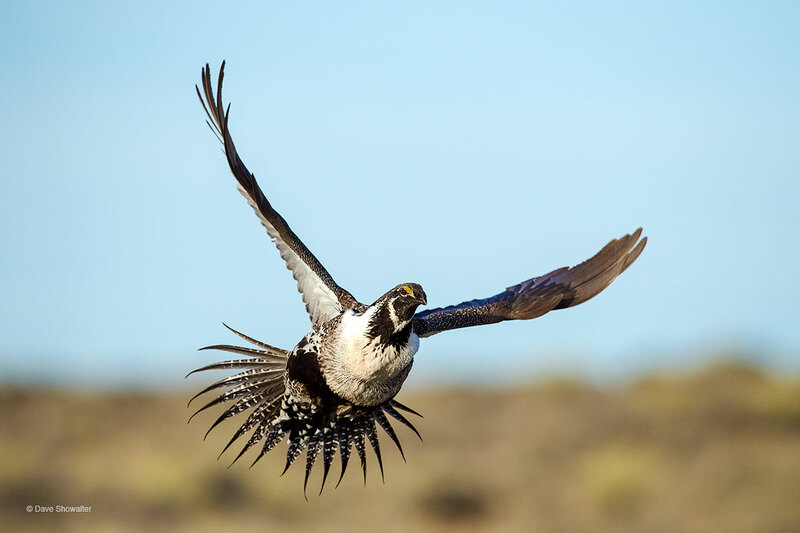 Greater Sage-grouse will arrive on the lek well before dawn to display their hearts out long after the last female has left for the morning, then take flight to browse on, and rest in, sagebrush. On this morning, one of the last males took flight just after the wind had shifted, giving me a full view of his flight from the lek. . Photo © copyright by Dave Showalter.